Alfred Zucker was the most prolific designer of the first generation of factory lofts. The eight-story, Romanesque Revival style Geraldine building typifies the lofts of the final decades of the 19th century with its brick and stone facade, cast-iron structural columns, steel beams, and terra-cotta floor arches. 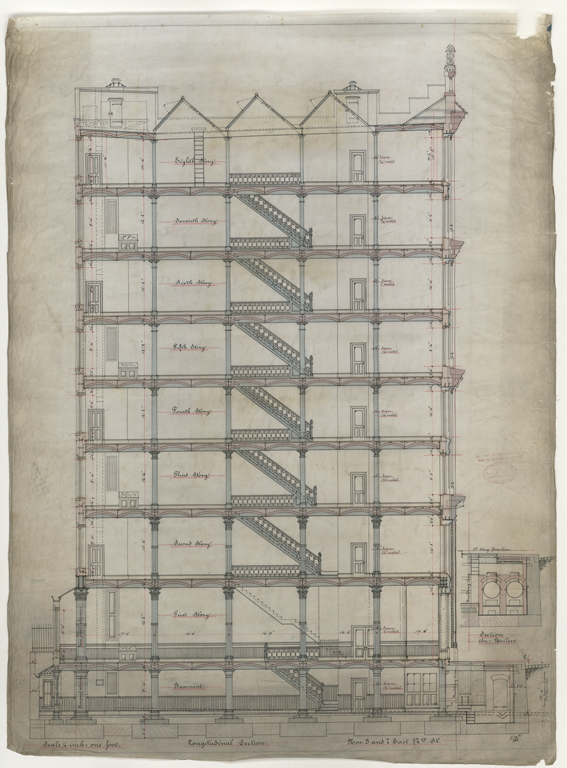 It was considered fireproof, yet had only one stairway, extensive wood trim, and wood windows. Geraldine Building, 7 East 16th Street. 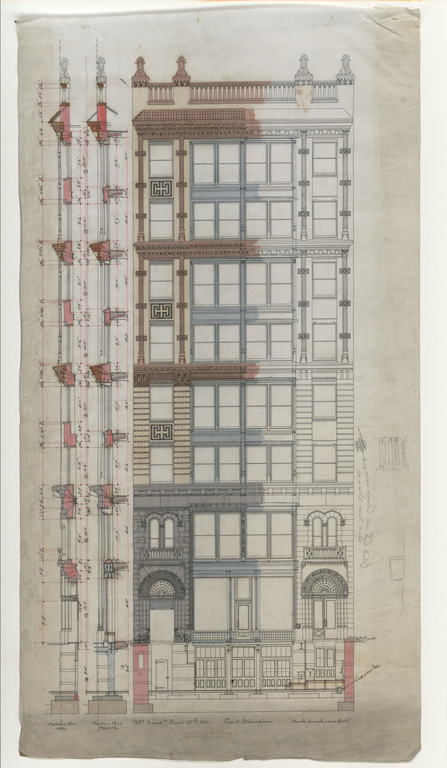 Front Elevation and Longitudinal Section, Alfred Zucker, 1891. Courtesy The Alexander Architectural Archive, The University of Texas Libraries, The University of Texas at Austin.